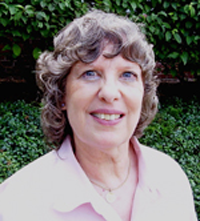 Deanie Humphrys-Dunne is a Mom’s Choice Gold medal -winning children’s author with six books published : My Life at Sweetbrier–A Life Changed by Horses, Charlie the Horse, Charlene the Star, Charlene the Star and Hattie’s Heroes, and Charlene the Star and Bentley Bulldog. All of her fictional books are beautifully illustrated by her sister, Holly Humphrys-Bajaj who also designed the covers for the fictional books. Deanie’s first story, Tails of Sweetbrier, won the silver medal in the Feathered Quill Book Awards, a finalist in the CLIPPA, honorable mention in the Purple Dragonfly Awards, and the silver medal in the Reader’s Favorite Book Awards. Her new book, My Life at Sweetbrier-A Life Changed by Horses, won the gold medal in the New Apple Summer e-book awards, as well as the silver medal in the Reader’s Favorite contest the gold medal in the Mom’s Choice Awards, and first place in the Top Shelf Magazine Holiday Book Contest.. Three of her books, Charlene the Star and Bentley Bulldog, and Charlie the Horse, and Charlene the Star, have won cover awards. Deanie’s most recent honor is “Children’s Author of the Month” for Wildfire Publications magazine. Deanie’s fictional stories are told by the animal characters. Note: Deanie’s first award-winning book, Tails of Sweetbrier, has been replaced by her new book: My Life at Sweetbrier-A Life Changed by Horses. Deanie believes the message that perseverance is the key to accomplishing amazing things is one that can benefit every child. Through her inspiring, real life and fictional works, children will learn that anything is possible if they refuse to give up on their dreams. We can attain much more than we ever imagine by never quitting. Children will be reminded that tenacity is the key to success. They will see proof that obstacles can be overcome and that quitting only guarantees failure. Deanie is a graduate of the Institute of Children’s Literature. She has been featured on several author websites including TheAuthorsShow.com, and blogtalkradio.com with authors JD Holiday and Annette Rochelle Aben. She has been honored with numerous blogging awards and nominations. Aside from writing children’s books, Deanie enjoys reading, reviewing books for other authors, music and singing. In addition, she likes watching equestrian competitions, figure skating and baseball.